Look at that face. Beautiful, smart, talented, full of greatness and potential. Gone. 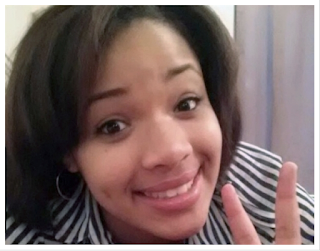 May Hadiya Pendleton's family find peace during this time. That's a tall order to fill given the circumstances, but nothing is too hard for Him. I don't know if this will ever reach them, but if we all lift them up in our hearts and prayers, I believe the love will. I could write about this for days. There's so much to explore - guns, youth violence, and the like. But for today, I'll just leave you with this story of Hadiya. This is a story that reminds us that we have to do more. We have to reach out, give back, and take a stand to make sure these kinds of things don't happen. This story makes my heart break, and so do all of the stories like it.